﻿ Reconstruction of auxiliary power supply system in SS Konjsko – KONČAR Elektronika i informatika d.d. KONČAR – Electronics and Informatics Inc. has contracted with the company Croatian Transmission System Operator Ltd. Split the reconstruction of the auxiliary DC power supply system 220 V at substation 400/220/110/10 kV Konjsko. The contract encompasses the production of equipment, factory testing, and installation in the object, cable laying, on-site testing, commissioning and delivery of the final design documentation. SS Konjsko was built in 1983 and represents the largest power facility of transmission network in Dalmatia that enables the electricity transmission from Hydro power plants Zakučac, Orlovac, Ðale and reversible hydro power plant Velebit to SS Mostar and Bilice and Switchyard Brinje. Over the last 35 years, the substation has undergone a number of changes of primary and secondary equipment that have greatly influenced the DC voltage supply system. Additionally, the existing systems are outdated today, therefore, the only possible solution were comprehensive redesign and reconstruction. 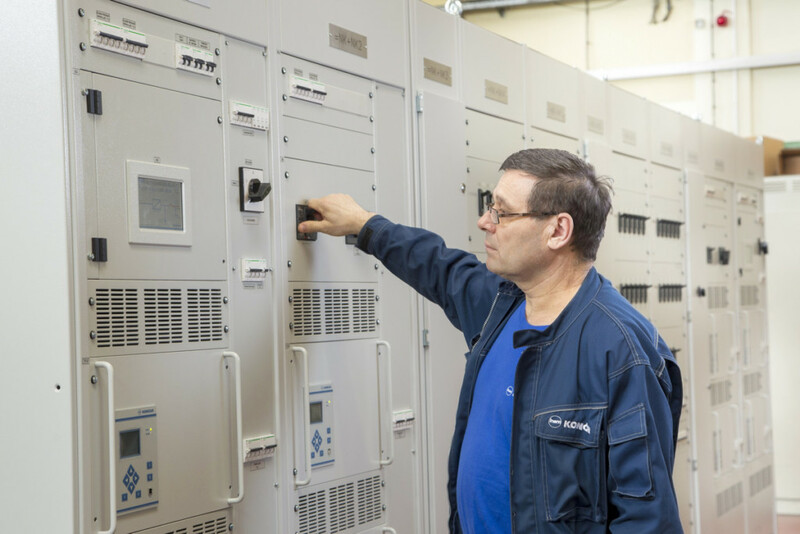 As the substation is extremely important for the Croatian transmission system, all installed auxiliary DC power supply systems must have the highest level of reliability because they provide supply for all vital equipment. The needed high level of reliability and availability of power supply is achieved through an appropriate power supply concept. A double power supply system with modular thyristor rectifiers that operate in redundant parallel connection according to the principle n + 1, is foreseen. Each system has its own battery and main distribution board. Sub distributions are deployed in relay houses and each will be powered double-sidedly, independently from both DC sources. The final factory system testing was carried out in the presence of purchaser’s representatives on end of February 2018, and the equipment delivery and works on the facility are planned for the April.